Posted in: Uncategorized. Tagged: saoug workshop;. 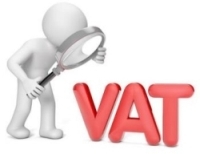 About the talk: Regulations pertaining to VAT on e-commerce became effective on 1 June 2014, starting a new era of VAT compliance for foreign suppliers of electronic services. Although the scope of application of the final regulations was significantly reduced through various consultations with National Treasury, it will still have a significant impact on the provision of, inter alia, educational services. The aim of the discussion will be to unpack the new regulations and its practical application on the education sector.